The sheer fact that George Clooney is finally tying the knot is so legendary that the nuptials need a truly out-of-this-world venue to match. It seems the actor and his bride-to-be might have found just that at none other than Highclere Castle, the home of Downton Abbey. The Daily Mail reports the couple is planning on holding their wedding at the esteemed landmark. Although Clooney and Amal Alamuddin have yet to officially comment on the matter, the rumors are awesome enough to entertain — at least for the time being. 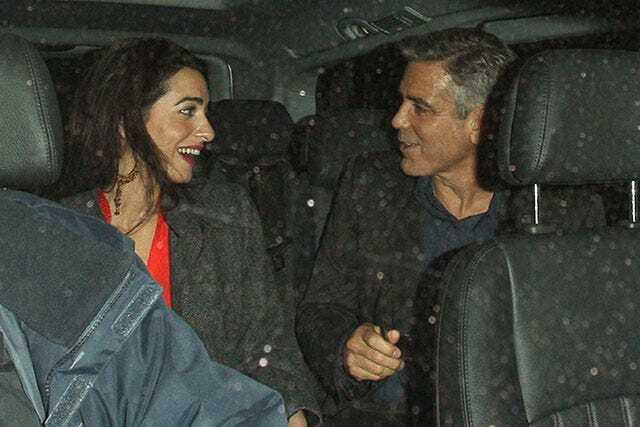 Supposedly, Amal is a big fan of the PBS show, and George asked his pal Hugh Bonneville (a.k.a. Lord Robert Crawley) to arrange a private tour of the castle last week. After seeing her reaction to the locale, George went all Clooney on things and started pulling in favors to get access to the castle for the big day.